He everyone. This is Annette from A. Spoon Full of Sugar. 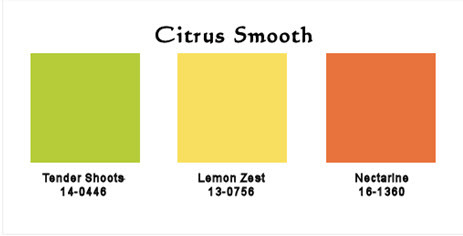 This week, we're creating projects using a color palette called Citrus Smooth. 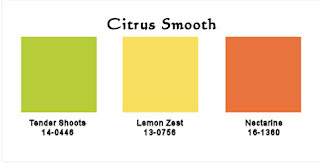 Bright, bold colors of orange, green and yellow are the colors of this week's palette. I did something a little different. I used a technique called quilling. 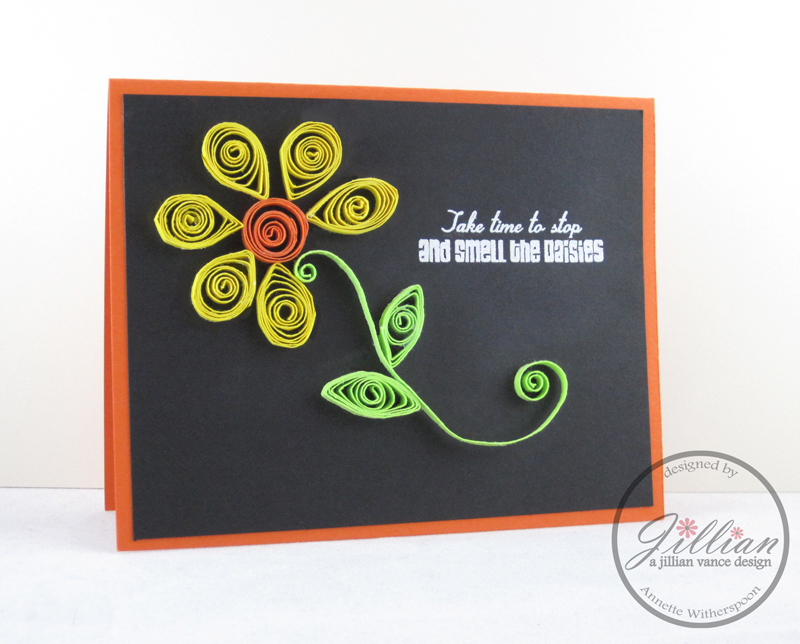 As defined by Wikipedia, "quilling is an art form that involves the use of strips of paper that are rolled, shaped, and glued together to create decorative designs. The paper is wound around a quill to create a basic coil shape. The paper is then glued at the tip and these shaped coils are arranged to form flowers, leaves, and various ornamental patterns similar to ironwork." I arranged my paper coils into a daisy. I love how the citrus colors look against the black background. They really pop. After adhering the coils into the daisy pattern I wanted, I stamped the sentiment onto the black cardstock with Versamark and then heat embossed with white powder. The sentiment is from the Flutters and Flowers set.